Second home loss of the season for the Ravenna Women FC which is bent to the "Soprani" by a more cynical Genoa that wins the three points thanks to a goal of applause of the usual Cama. Third place and situation in the standings unchanged since Inter beat Empoli at home and the Fortitudo Mozzecane-Lady Granata Cittadella race was postponed due to an unusable field. 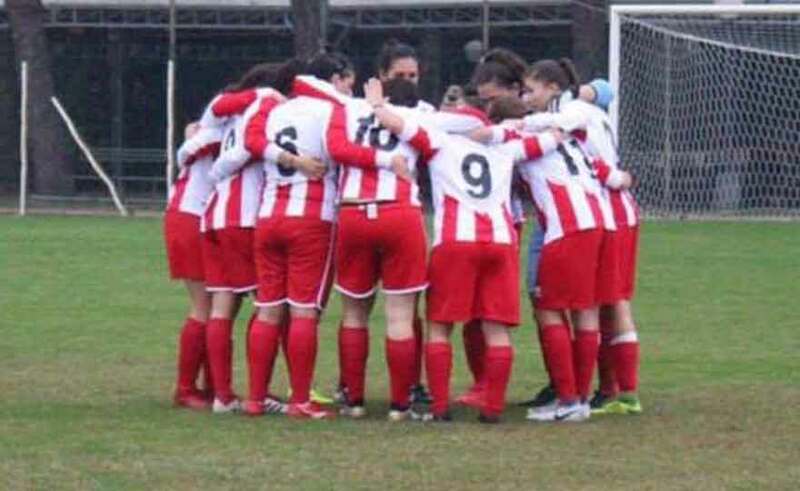 Bitter bitter for the lionesses to be digested as soon as possible because next Sunday comes the derby with Castelvecchio in Savignano sul Rubicone. First half in red and yellow colors that ends in white nets. The clearest occasions during the first forty-five clock turns are for the landlords. First with the wrestler Cimatti who drags his companions and touches the net at 24 ': error in disengagement of the defense rossoblù, ball recovered from the captain who anticipates the goalkeeper but his lob is foiled by the opponent's rear. Then at the 33 'a big blow of Filippi puts the tremarella to the genoane, but the ball goes out on the bottom, high above the crossbar. At the end of the first half Genoa takes courage and closes offense, but without combining anything in fact. At the beginning the music seems the same, with Ravenna more proactive and master of the midfield and Genoa forced mainly to defend themselves, then to the 55 'thrills for the fans of Romagna: cross of Genoa and Cama, raptor in the area, closed in the corner. The home team suffers a lot in the right lane of the accelerated Cafferata, which at the 57 'on the pitched pitch launches De Blasio shooting high. Breathtaking opportunity for Ravenna at 63 'again with Cimatti pointing the second post, but it is unlucky. After two minutes Montecucco heel Filippi strikes but hits the outside network, with the scream of the home crowd for the possible advantage that is throttled. Then the cold shower at 74 ': an incredible technical gesture by Cama unlocks the match and gives the advantage to the genoane. Unfortunately there is no need for the yellow siege at the door of Pignagnoli, author of a providential rescue on the expiration of the recovery: corner for Ravenna, hit you head of Cimatti and large parade of the number 1 rossoblù. Defeat that hurts to the team of Mr. Piras, who has the opportunity, however, to redeem himself in the match as much felt as important next Sunday: the derby of Romagna against the cousins ​​Cesena. Here are the hot words of Mr. Roberto Piras at the end of the match: "What made the difference today was the competitive nastiness that our opponents have put in the field. They came here thirsty for points and fought ball on the ball, selling their skin dearly. We have lacked in some elements, we have had our chances but we have not exploited them. There is a defeat that allows us to return all our feet on the ground. Let's treasure this day and come back humble. If we lack the charge that has distinguished us until today we become one of many and we can not afford this ".